Used Car Buyers Adelaide buys cars for every make & condition. We are Adelaide’s used car buyers that pay cash up to $9,999 for any make and condition of car, truck, van, or SUV. A way that you don’t have to go to any expense to sell your used car. The way that you can avoid the cost of advertising your car for sale. A way that you don’t have to spend tedious hours meeting with potential buyers that only let you down when it comes to the price they are willing to offer for the car. Will make you a quick cash quote for your car over the phone or online, so there is no appraisal setting. We will pay you cash on the spot for your used car. 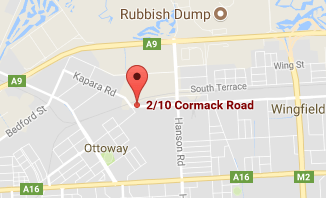 Will come to your location in Adelaide to remove the car for free. When we are your used car buyer, you get all the perks with no costs or hassles. We Pay Cash for Used Cars upto $9,999 CASH!!! Used car sellers, with Car Wreckers Adelaide SA you will get paid cash up to $9,999 for your used car. We, ‘Used Car Buyers Adelaide’ buys all makes and conditions of cars, putting up to $9,999 cash in your hand. We are car buyers that you can rely on for an accurately priced offer for the value of your car. When we are your used car buyer, you get cash up to $9,999 cash. 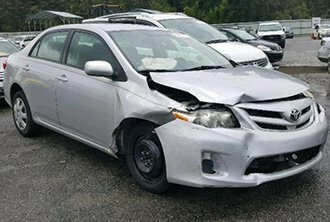 Get a quick and convenient sale for your car when Car Wreckers Adelaide is your choice in a wrecker. We are your used car buyers that offer reliable quotes for cars over the phone, and quickly arrive at the location of our customers to buy & remove their cars. When we are your car buyer, we are buyers that love to make the selling process for buying a car quick and convenient. How does Car Wreckers Adelaide work? Selling used cars is no concern with Car Wreckers Adelaide. We are SA’s used car buyers that car owners can sell used cars Adelaide to with ease. You have a used car, truck, van, or SUV you’d like to sell, and we’ll buy it. One call to us or a quick submission of our online get a quote form at the top right of this page, and within minutes you can have a “quick quote for your used car” of up to $9,999 cash. Car owners that accept our cash quote can quickly schedule a Free Car Removal in Adelaide SA at a time of their choice. Once we arrive to buy & remove your car, all that is left to do is to count your cash. Selling used cars SA is that fast and convenient when Car Wreckers Adelaide is your buyer.